Touring Vermont's covered bridges in style. Photo by TalismanPhoto for Buick. 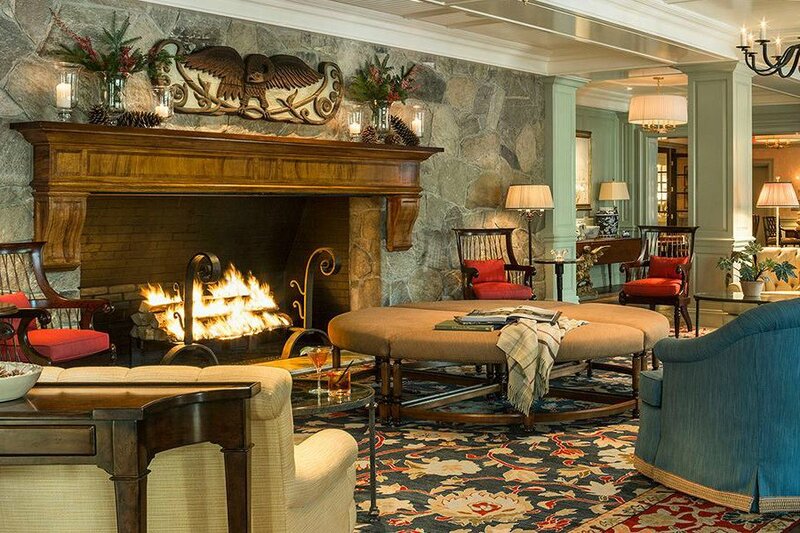 Driving in snow, cross-country skiing, and cozying up to the fire are the ideal components for eking out one last winter road trip in Woodstock, Vermont. 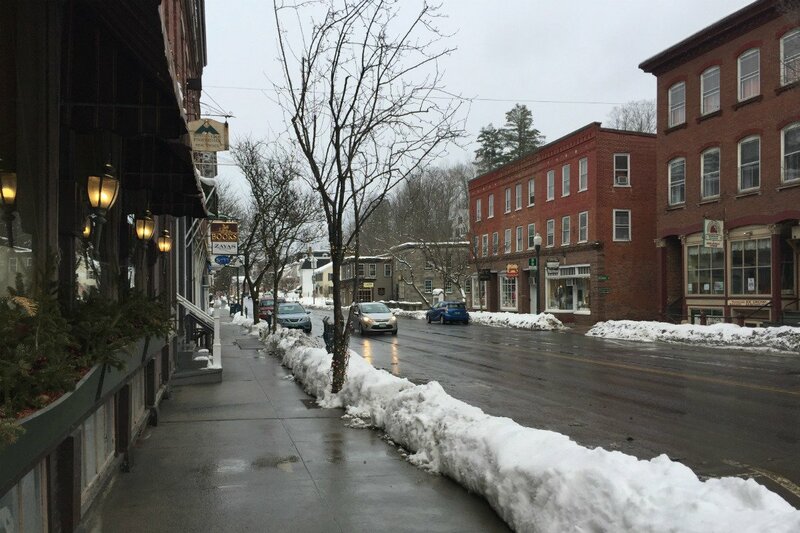 WOODSTOCK, Vermont — Despite having lived in the Northeastern United States for my entire life (first New York, now Connecticut), I loathe the cold. From the minute the temperature drops, I’m constantly complaining that if I never see snow again, it’ll be too soon (I’m a delight to be around in the winter). That being said, there’s one place where I not only tolerate, but willingly embrace, freezing temperatures and heavy snowfall: Vermont. In the Green Mountain State, winter just feels right, and a road trip up to Woodstock this spring only reaffirmed my love for a particular brand of New England hygge. 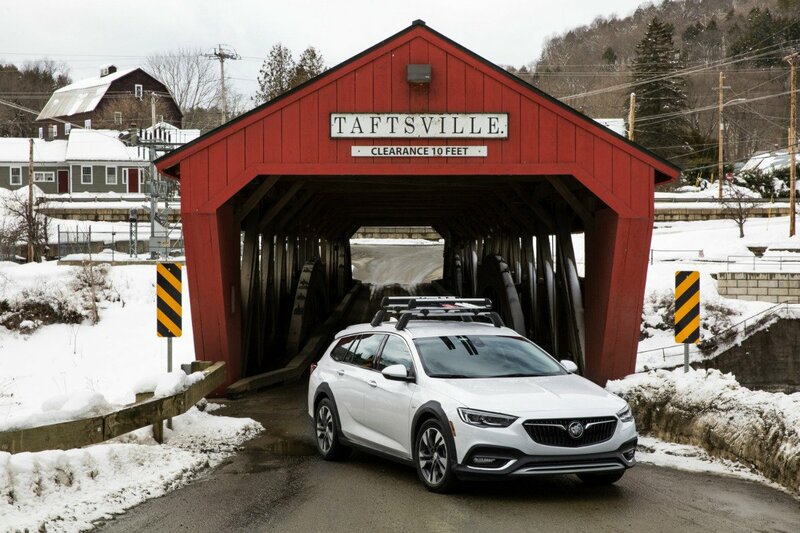 My trusted road trip companion (my mom) and I set out from New Haven, Connecticut, in style, being some of the first to drive Buick’s newest luxury wagon, the Regal TourX. Like the good millennial I am, I took full advantage of the tech — a heated steering wheel, built-in WiFi, Apple CarPlay (because what’s a road trip without music or, in my case, true crime podcasts, not to mention hands-free texting), and the navigation system with a voice that actually said "please" — while my mom, always the over-packer, was grateful for all the extra space in the boot. The route mostly followed I-91, but once we crossed into Vermont, the drive took on the feel of a proper road trip: Highways morphed into winding back roads blanketed with fresh snow that climbed up through layers of fog into mountains that took on a dramatic, dark blue hue, a view best enjoyed through our panoramic moonroof. I could have cruised forever, but we had a big day ahead of us. 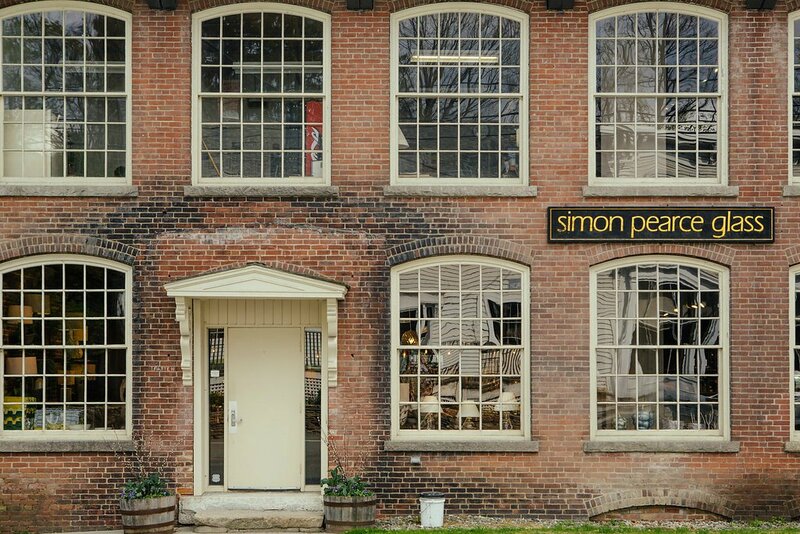 Our first stop was at the Simon Pearce flagship in the small town of Quechee. 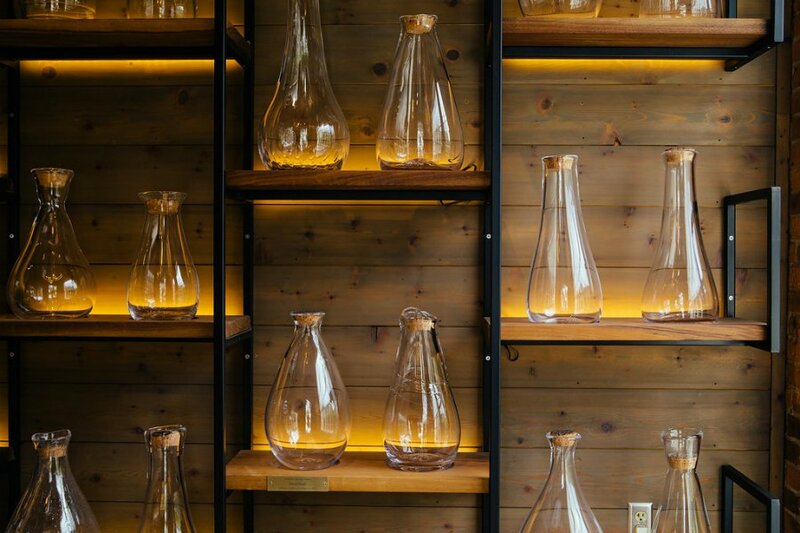 Part retail front for their famous glasswares and ceramics, part restaurant and bar, and part glassblowing workshop, this is where nearly all of their products, sold throughout New England and online, are handcrafted every day. 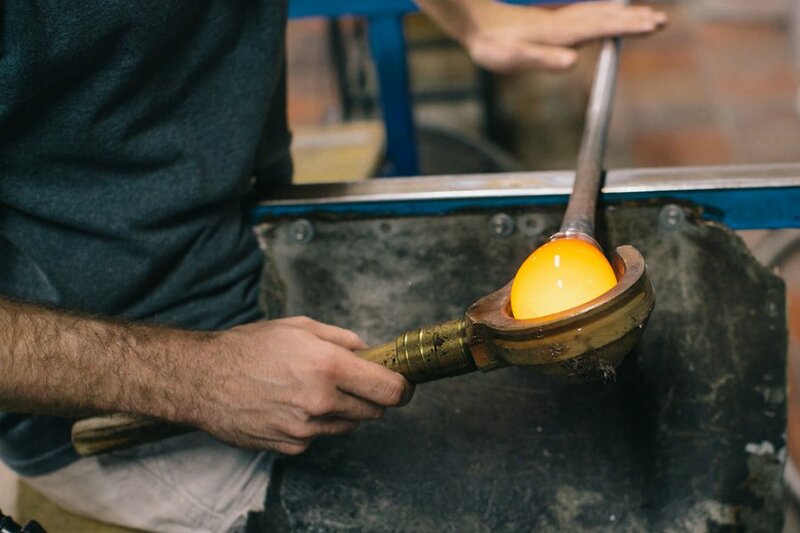 Our guide, Meghan, led us to the workshop where master glass blowers were hard at work. Cory, who’s been at Simon Pearce for 18 years, and Nate, who’s been working there for 24 years, were kind enough to take us through each step of the labor-intensive process, demonstrating the un-quantifiable amount of skill and care that goes into each creation. When my brief flirtation with the thought of beginning anew as a glassblowing apprentice ended, we went back up to The Mill at Simon Pearce, the store's much-acclaimed restaurant, having Vermont cheddar soup and mulled cider with a splash of brandy, served in bowls and glasses that were handmade on-site, of course. The Simon Pearce flagship in Quechee, Vermont. Photo courtesy of Simon Pearce. A master glassblower at work. Photo courtesy of Simon Pearce. The finished product. Photo courtesy of Simon Pearce. 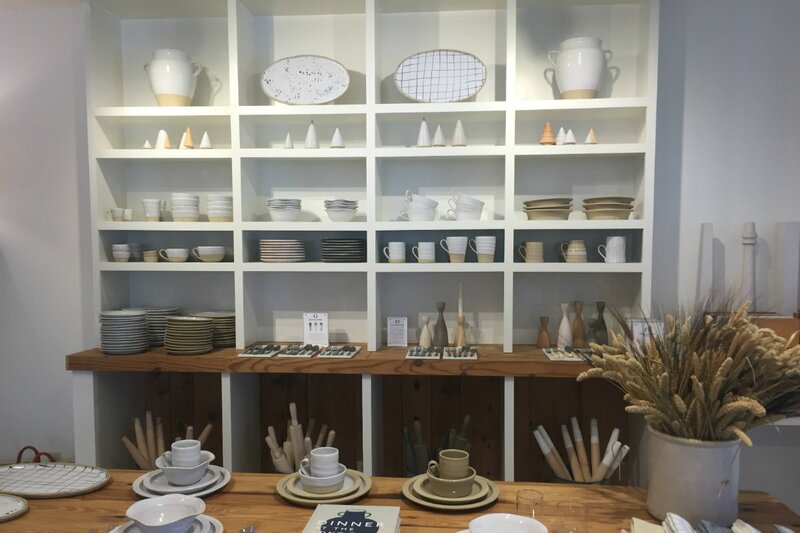 Now that we were feeling all crafty, we drove to Farmhouse Pottery in Woodstock, where the talented (and incredibly patient) Jess gave us a private pottery lesson. Just like at Simon Pearce, everything sold through their online store and in their 200+ wholesale retailers is handmade here. That's one ton of clay per week, and a single potter can make up to 115 pieces a day. 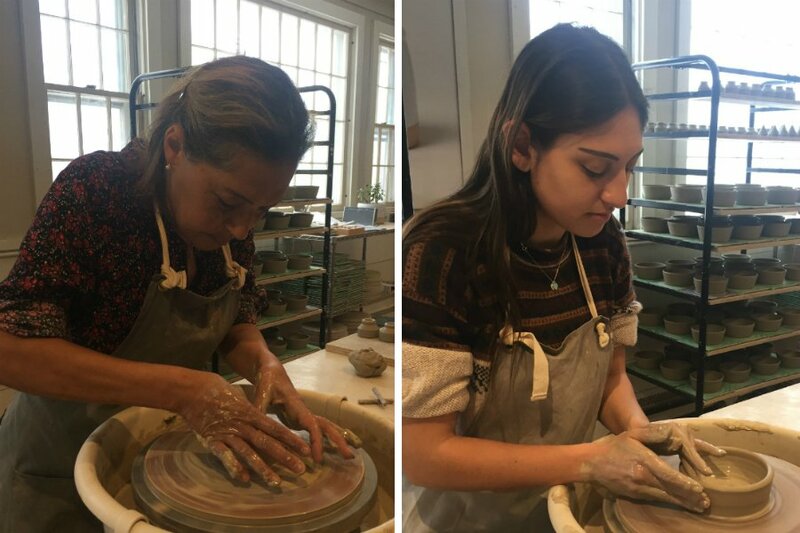 Needless to say, we weren't about to attempt any great feats of craftsmanship, but Jess did teach us how to make our own bowls on a pottery wheel. I can confidently say it's a lot harder than it looks. In the end, however, both of our final products could be loosely described as "bowls," so we were pleased. 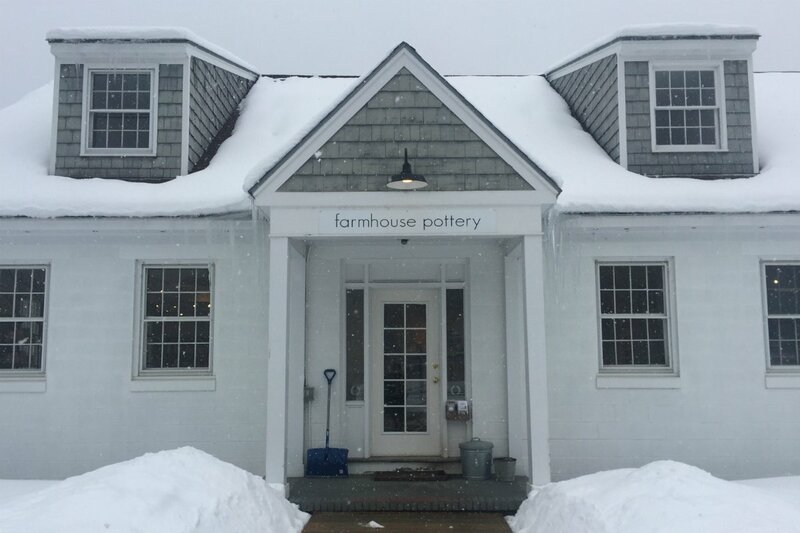 Light snowfall outside the adorable Farmhouse Pottery workshop. Photo by Rachel Kurlander. The artists (my mom and I) hard at work. Photo by Rachel Kurlander. I'll take one of everything, please. Photo by Rachel Kurlander. 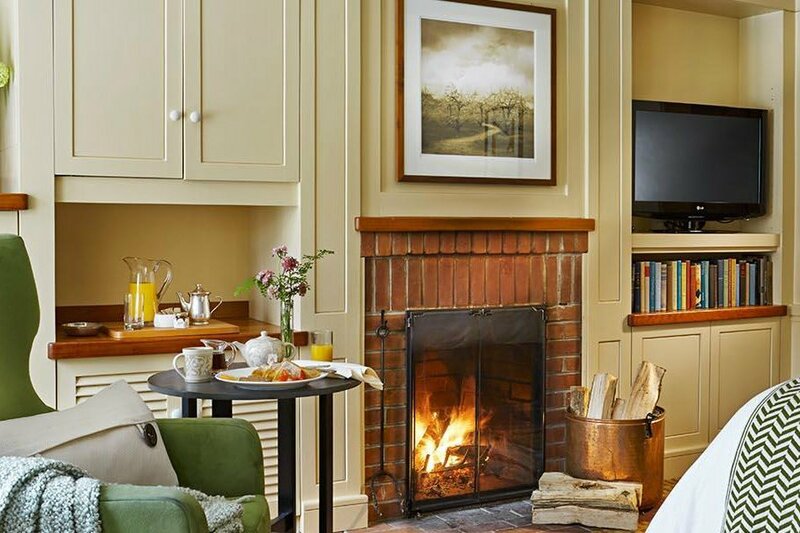 It was about a five-minute drive from Farmhouse to our hotel, Woodstock Inn and Resort, and by the time we arrived in the late afternoon, we already had twice as many bags (filled to the brim with Simon Pearce and Farmhouse goodies) than when we left Connecticut. The inn can only be described as quintessentially New England: a roaring fireplace in the lobby; a study lined with bookshelves and antique gaming tables; American landscape paintings adorning the halls; a basement game room that transports you to a 1970s sleepaway camp in the Berkshires; plaid accents, heavy throws, and a prevailing feeling of warmth and coziness at every turn. We checked in and I dropped my bags quickly, lest I got sucked into snuggling up beside my own personal fireplace before getting the chance to explore Woodstock. The inn, just steps away from the center of town, made for a perfect base. 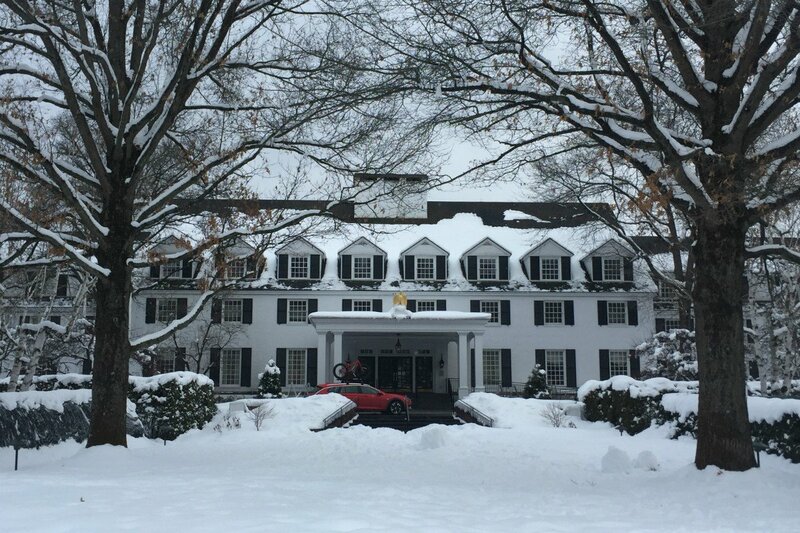 The Woodstock Inn and Resort. Photo by Rachel Kurlander. The lobby. Photo courtesy of the Woodstock Inn and Resort. A guestroom in the tavern wing. Photo courtesy of the Woodstock Inn and Resort. Instead of trying to describe New England to someone who knows nothing about it, bring them directly to Woodstock, Vermont. Two charming, quaint main streets are filled with restaurants, small shops, general stores, cafes, and galleries, most of which were closed by the time we were strolling through around 5:30 p.m. (It's a town built for locals, not tourists, at least in winter.) Just beyond downtown were stately old colonials and, of course, a rickety, wooden, covered bridge, because no Vermont town is complete without one. 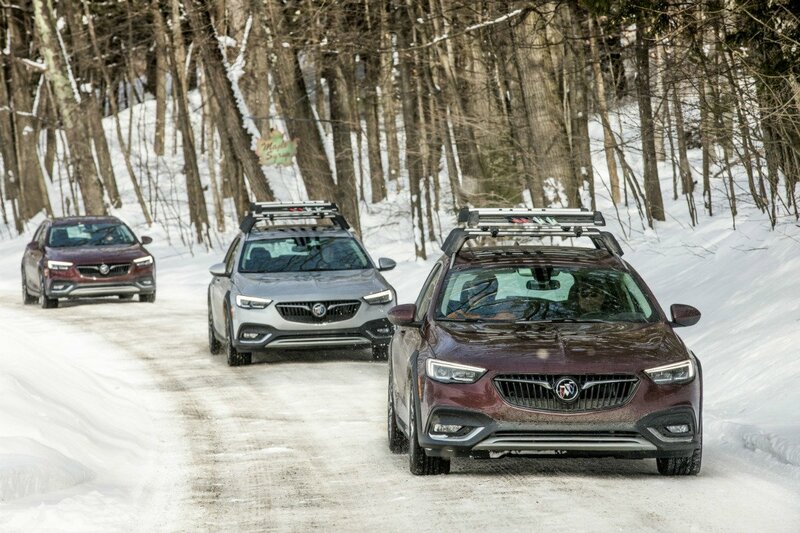 We explored for a little while longer, then rendezvoused with the rest of our group, who were all here to test out the Buick that practically seemed designed with this New England adventure in mind. We went for dinner at Richardson's Tavern, a pub-style restaurant at the inn, after which I fell asleep upon instant contact with my bed. A quiet evening in Woodstock. Photo by Rachel Kurlander. Breakfast the next morning was a rejuvenating plate of locally sourced yogurt, granola, and fruit at the inn's other restaurant, Red Rooster. We had another long day ahead of us, beginning with a car demonstration led by Mikhael, Buick’s East Coast communications manager. Turns out, the Regal TourX is good for something other than just lugging our travel loot around: We learned about some of the car’s safety features (a great comfort to my mom), like its collapsible hood, automatic braking, active twin-clutch all-wheel drive, and its eco-friendly engine stop/start system. I attached my cross-country skis to the crossbars (to be used later) and, with that, we hit the road for a test drive. Let me go on record here as saying that if my glassblowing apprenticeship doesn't pan out, I would make one hell of a stunt driver. The jaunt was a perfect way to explore Vermont's backcountry, and I'd highly recommend it to anyone with all wheel drive and a penchant for a little adventure (see the editor's note below for directions). Mikhael (enthusiastically) leading the Buick demonstration. Photo by TalismanPhoto for Buick. A picture-perfect backcountry drive. Photo by TalismanPhoto for Buick. 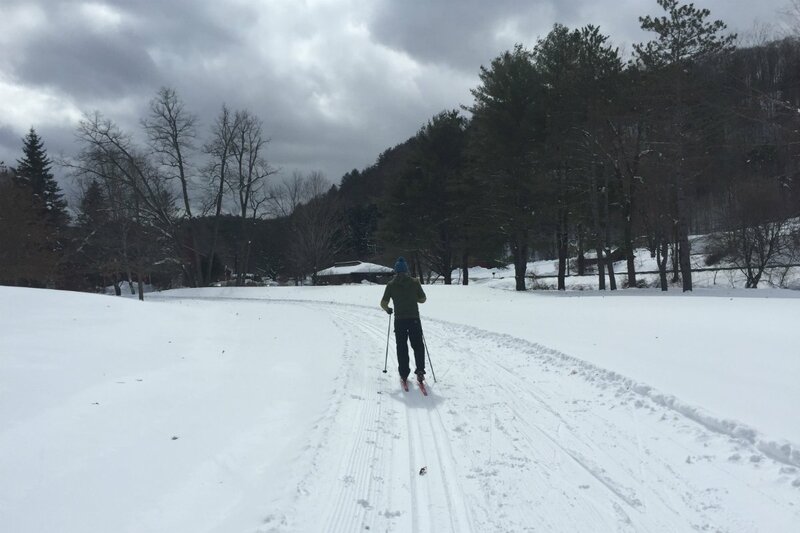 After a quick lunch at the popular Woodstock Farmers Market, an adorable country market store selling an impressive selection of local, artisan foods, we all drove to the inn's Nordic Adventure Center for an afternoon of cross-country skiing. It was my first time cross-country skiing, but I had so much fun that it made me rethink my moratorium on winter sports. Who gave cross-country skiing such a bad rap anyway? Surely a disgruntled snowshoer. Next up was Sugarbush Farm, a fully operational farm sitting atop a long, winding dirt road about 20 minutes from the inn. Unfortunately, I wasn't able to see any trees being tapped. Although I visited in the middle of maple syrup season, it was too cold for sap to flow: Temperatures have to be below freezing at night and above freezing during the day. But I did get to sample four different grades of maple syrup, along with enough cheese to satisfy any turophile. I couldn't leave empty-handed, and in a remarkable demonstration of self-control only bought two cheeses and two syrups. I did my best to leave room for dinner, a sweet and spicy roasted halibut with vegetable barley, English peas, and toasted ham étouffée at Red Rooster, a satisfying end to a jam-packed day. Our cross-country ski instructor making it look easy. Photo by Rachel Kurlander. 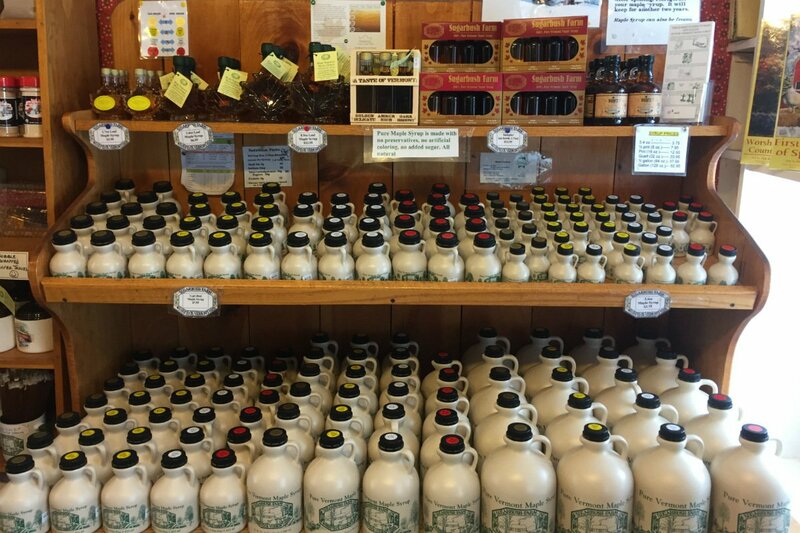 The real deal: Vermont maple syrup. Photo by Rachel Kurlander. By the following morning, I had finally worked up the courage to build a fire in my fireplace, and after one (okay, several) attempts, I had a tiny fire burning! I would have stuck around to revel in my accomplishment, but my mom and I had an early spa appointment before getting back on the road (one of my better ideas). I didn't use the eucalyptus steam room and outdoor courtyard with a fireplace, hot tub, and dry steam room, but I did sneak in a quick nap in the lounge area on a massive plush chaise with huge fur blankets. The staff was wonderful, and my deep tissue massage was heavenly. Rested and refreshed, we hit the road one last time. After visiting Simon Pearce, check out Andrew Pearce Bowls in nearby Taftsville for hand-turned wooden wares crafted by Simon's son. Drink the day away at Harpoon Brewery in Windsor, Long Trail Brewing in Bridgewater Corners, and the SILO Distillery in Windsor. Visit the famous King Arthur Flour in Norwich for all your baking needs. Explore the Billings Farm and Museum, the Marsh-Billings-Rockefeller National Historical Park, and the Quechee Gorge Valley. Ski the Suicide Six (don't let the name fool you — these are some of the most family-friendly trails in Vermont) and try your hand at falconry. Hanover, New Hampshire, the picture-perfect college town built around Dartmouth, is a 25-minute drive away. Directions for the backcountry drive: Starting at the Woodstock Inn, take a right out of the hotel on to Rte. 4. After half a mile, turn right to stay on Rte. 4, and follow this straight onto Heartland Hill Rd. Drive for two miles, and then bear left to stay on Heartland Hill Rd. After a quarter mile, turn left onto Happy Valley Rd. Stay on Happy Valley Rd. for two miles, then turn right onto Rte. 4. Continue on Rte. 4 for 3.5 miles, then take a right on Waterman Hill Rd. Drive across the covered bridge, and turn left (you’ll see Simon Pearce on your left). Follow Quechee Main St. for four miles, then bear right at the fork and continue on Old River Rd. for three miles. Turn left just after Billings Farm onto Rte. 12, and follow this road right back into downtown Woodstock.